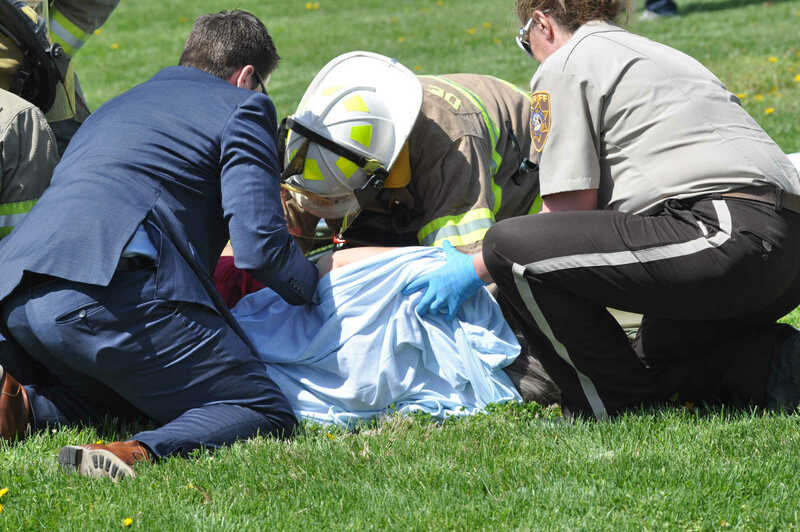 Dexter High School held a mock accident to show its students the results of drinking and driving. 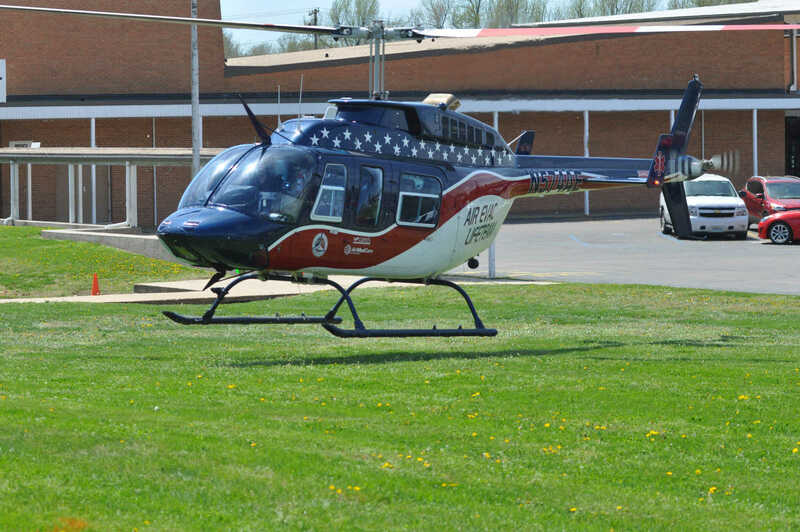 The Dexter police Department, Dexter Fire Department, Stoddard County Sheriff's Department, Missouri Highway Patrol, Stoddard County Ambulance, Air Evac Life Team and Deputy Coroner Aaron Mathis participated. 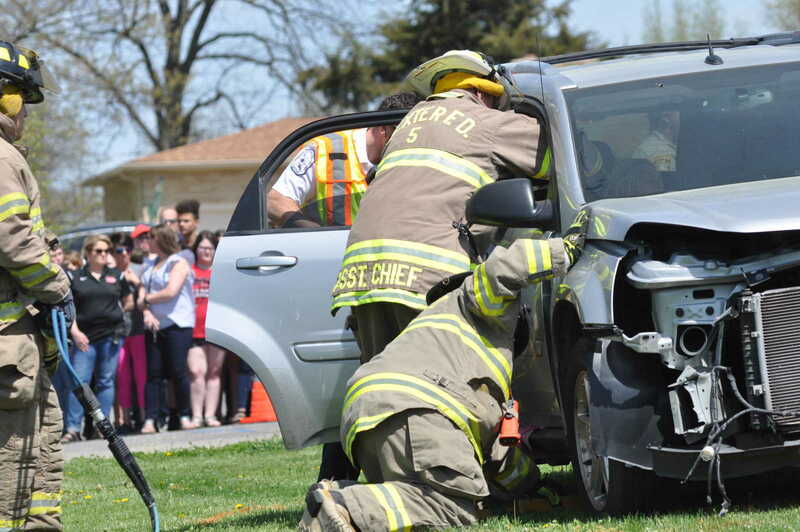 Four students from Dexter High School played the part of the driver and injured passengers. 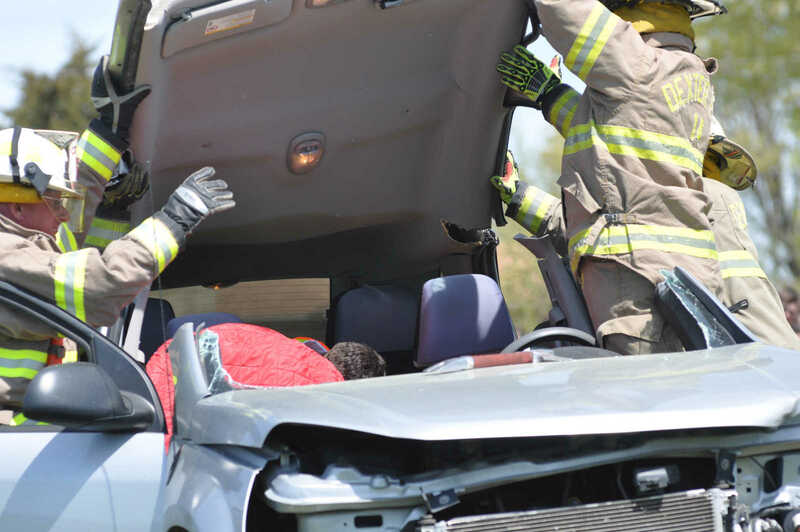 They were driver Logan Wyman and injured passengers RaeAnn Riddle, Kelby Hill and mali a Cook. NO ONE SHOWN IN THESE PHOTOS WERE INJURED. This was educational demonstration. Malia Cook lays on the ground by the vehicle. Logan Wyman slumps over the steering wheel. 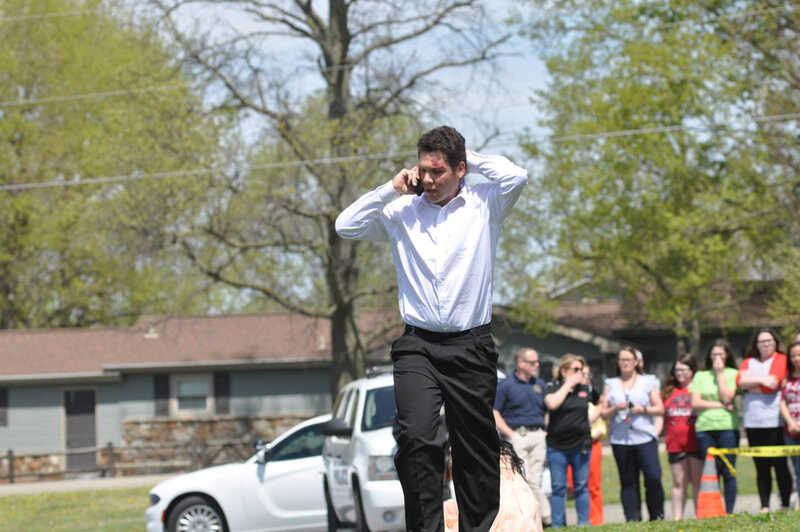 Driver Logan Wyman calls 911 after the accident. 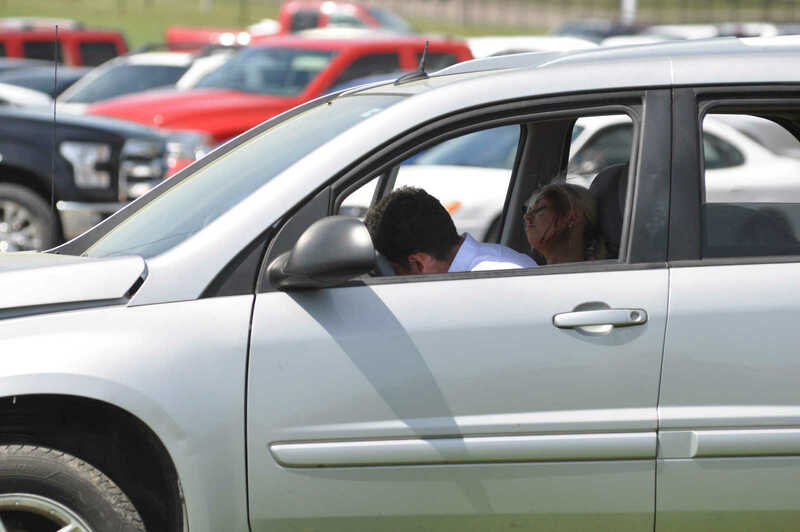 An "injured" Kelby Hill yells at driver Logan Wyman after exiting the vehicle. 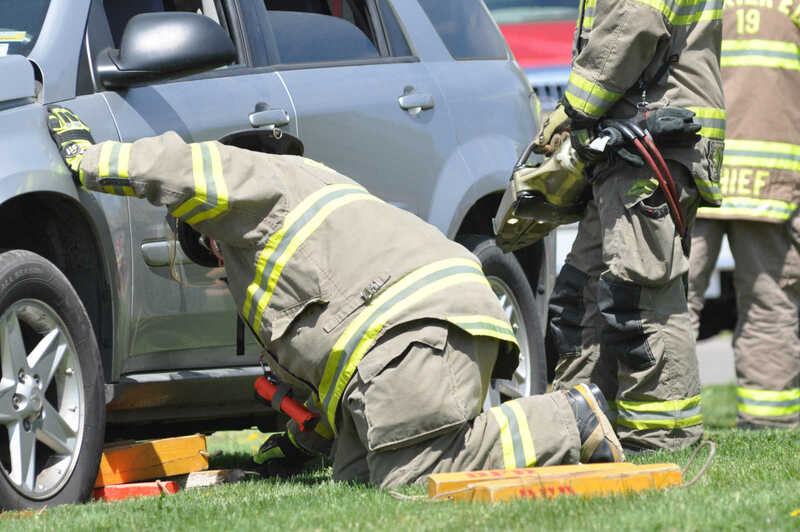 The Dexter Fire Department stabalizes the vehicle before extrication can begin. 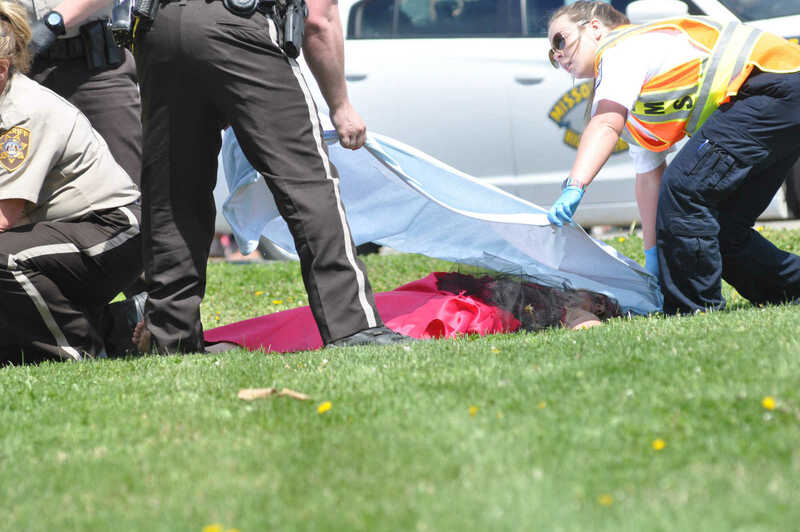 A "deceased" Malia Cook is covered with a sheet. 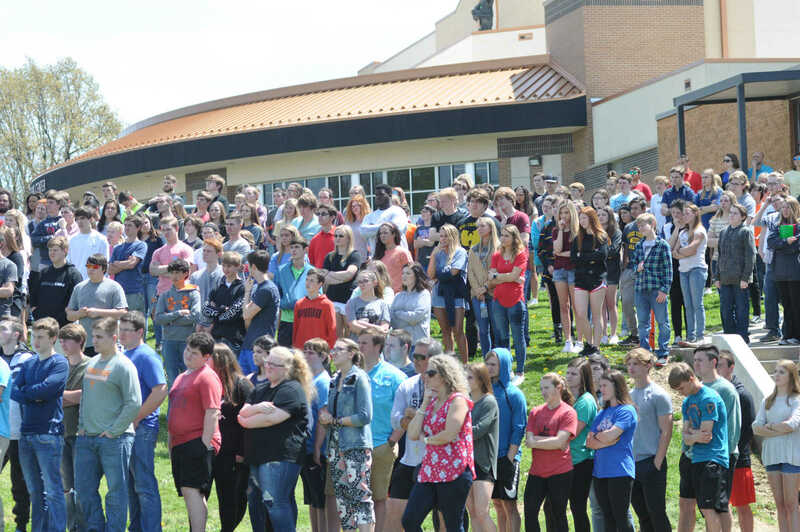 Students look on during the mock accident. 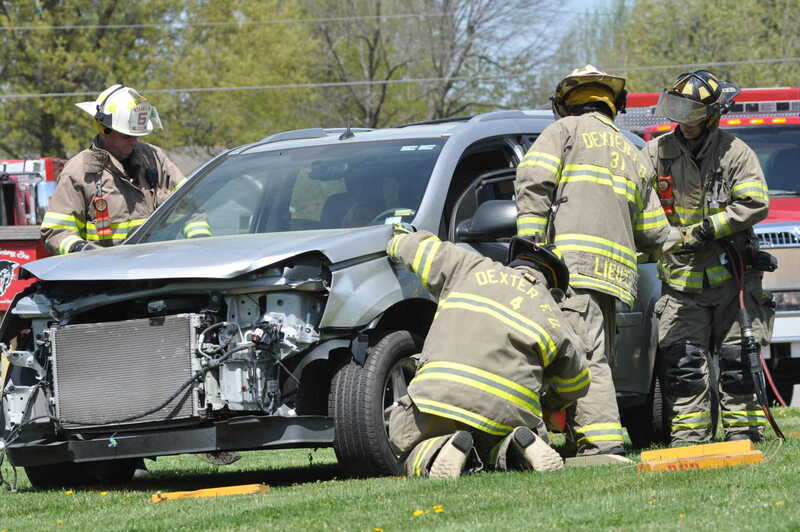 The Dexter Fire Department Extrication Team removes the top of the vehicle. Kelby Hill is immobilized on a back board. 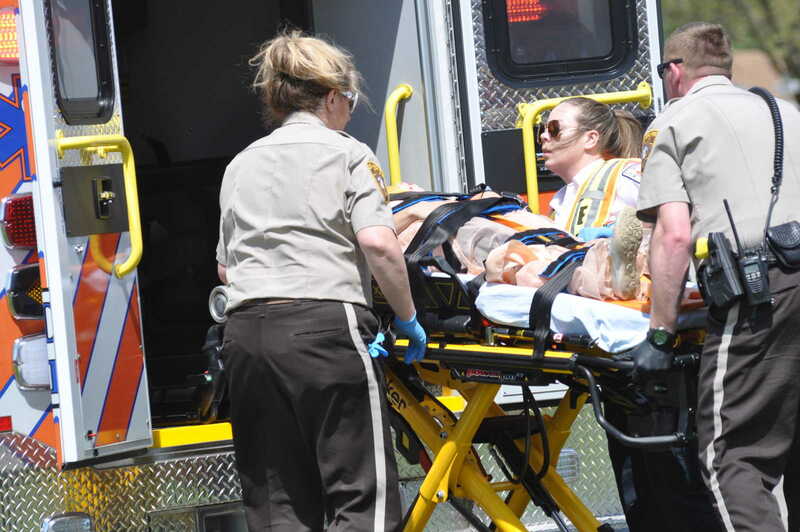 Kelley Hill is loaded into a ambulance. 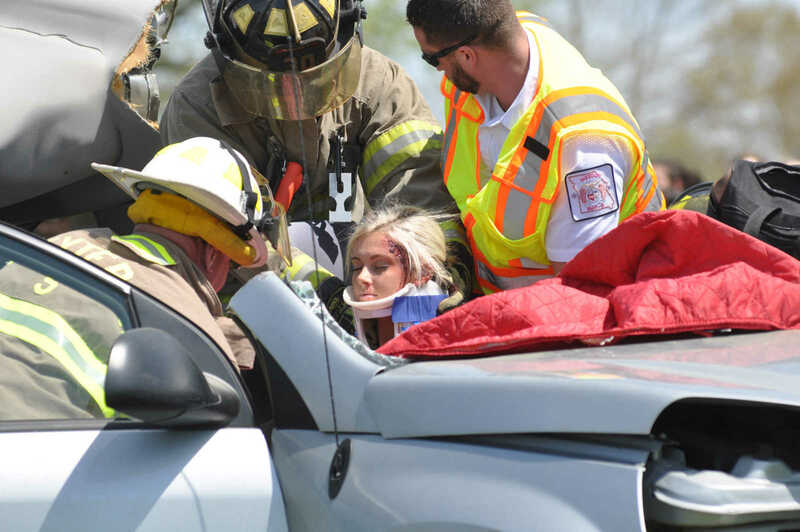 The Dexter Fire Depart along with Stodard County EMS prepare to remove RaeAnn Riddle from the the vehicle. 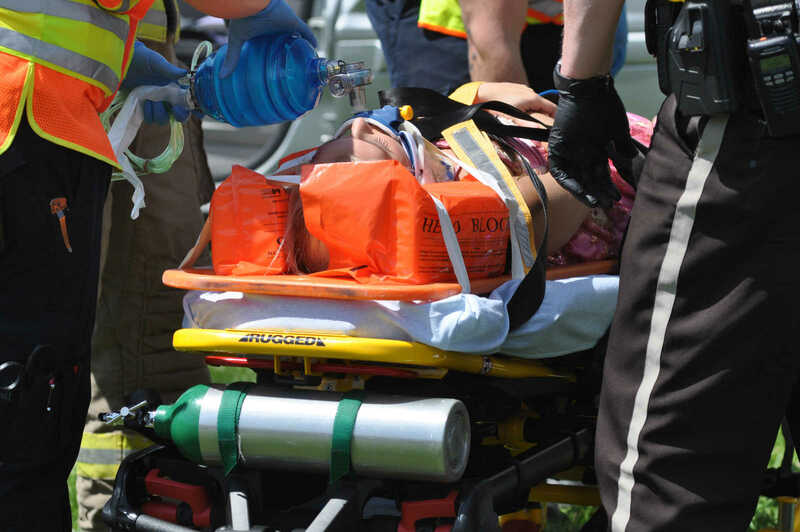 RaeAnn Riddle immobilzed on a stretcher. 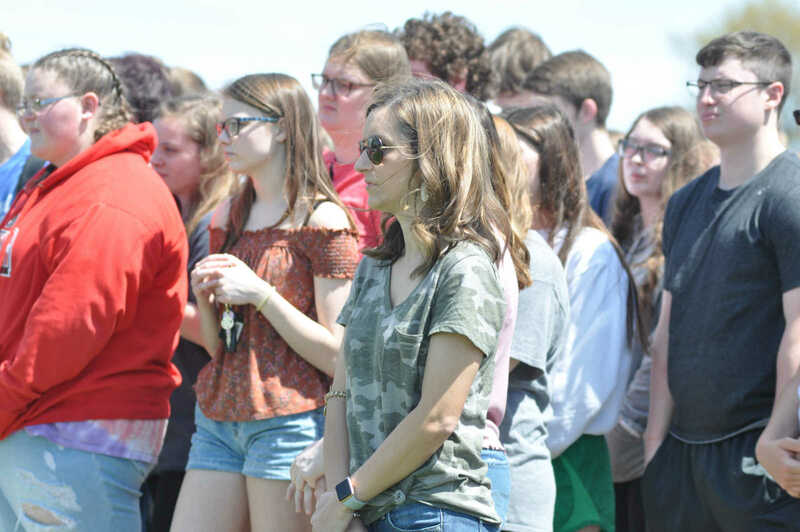 Deputy Coroner Aaron Mathis (left) along with the Stoddard County Sheriff's Department and Dexter Firedepartment place Malia Cook who was "killed" in the mock accident in a body bag. 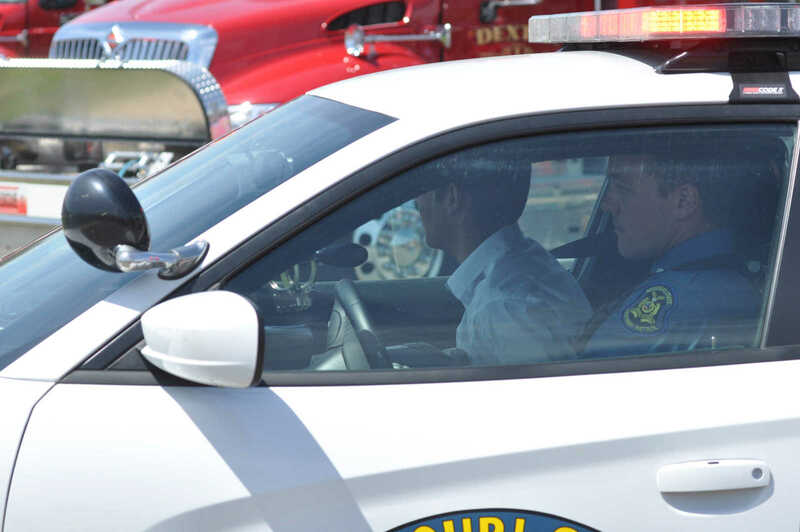 Logan Wyman leaves in a police car after being "arrested". The Air Evan helicopter moments from touching down. 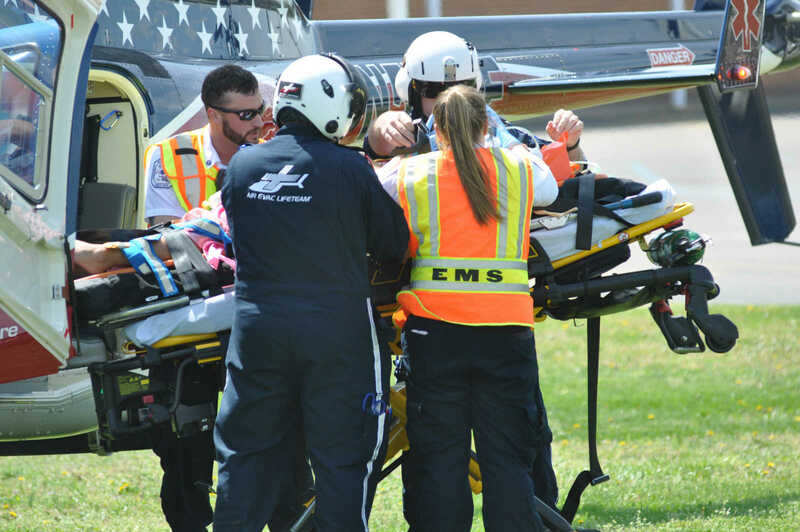 The Air Evac Life Team and Stoddard County EMS prepare to load RaeAnn Riddle onto the Air Evan helicopter. 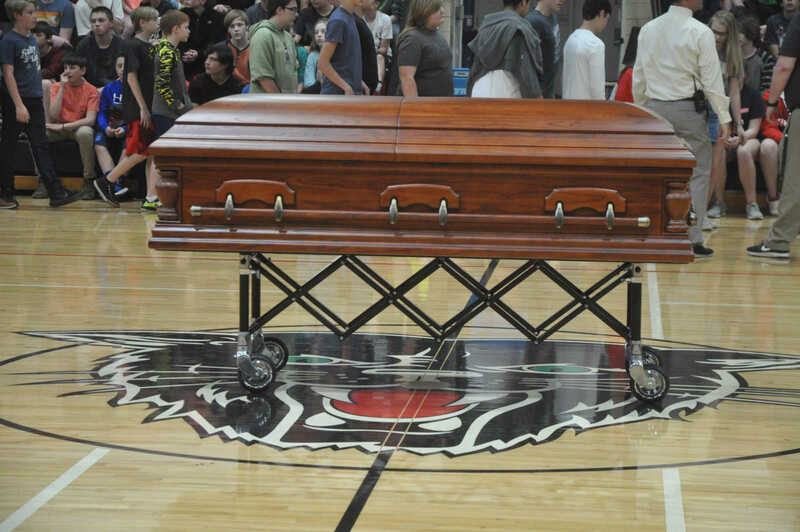 Rainey Mathis Funeral Home placed a casket in the gym to show students the potential end result of drinking and driving. 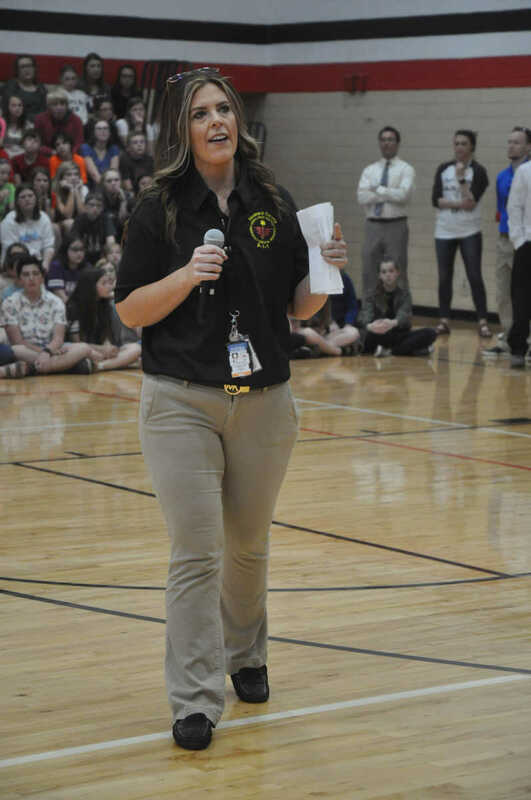 Communications Captain with the Stoddard County Ambulance District, Jamie Holcomb addresses the students after the event. 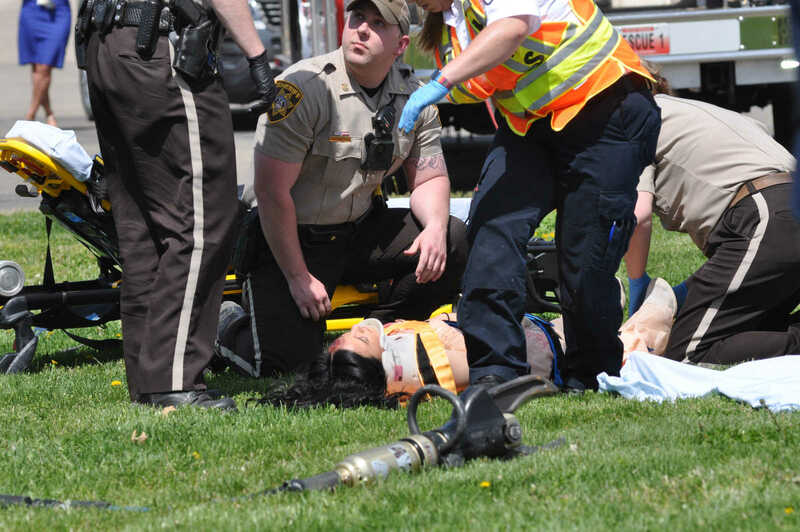 The emergency agencies and students who took part in the mock accident.